Wondering where your friends are, or if they are in mortal peril? 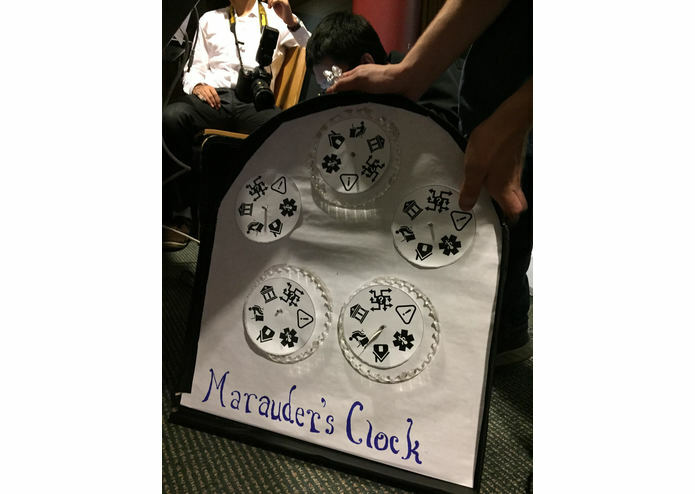 Look no further than the Marauder's Clock. 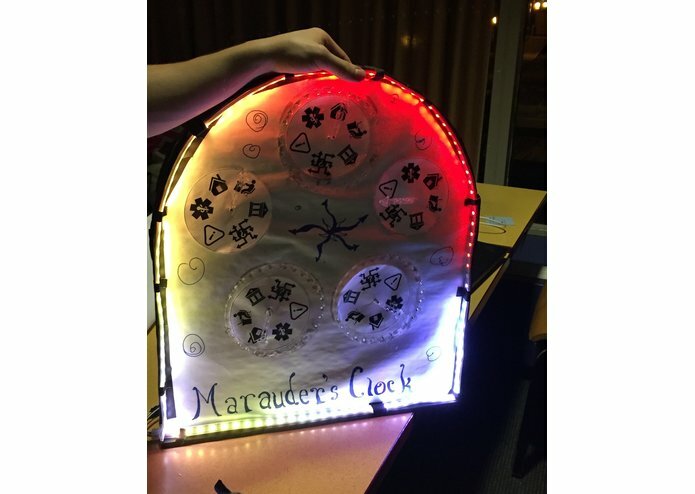 The clock receives updates via the internet from the team members and it shows their current location and/or status. The structure is a combination of acrylic pieces and mdf. The servos rotate the clock hands to show position/status. 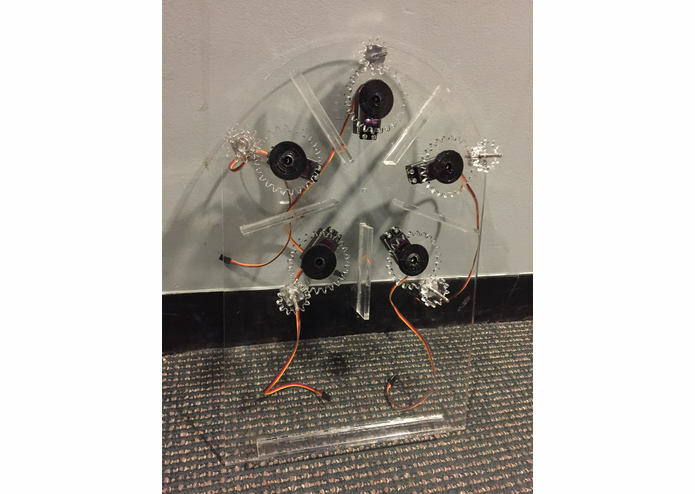 The servos are limited to 180 degrees, so there is 2:1 gearing to achieve full rotation. From the software side, team members log on to a hosted website (verified with certificates) and enter their location/status. The Thing microcontroller accesses the website through wifi and requests the necessary data. The Thing processes the information and positions the servos accordingly. Mechanical alignment was difficult due to tolerance error in creating the gears. We overcame the problem by modifying the mdf. We are very proud of the way everything has come together, drawing from the strengths of each member and turning an assortment of systems into a functioning unit. Our team learned a lot about a wide range of technologies, from website interaction to Arduino development and machine use. We would like to update the software to automatically check location rather than manual input. We would also like to vary the locations to be more specific to each person.